Would you like to enjoy the beautiful southern coast from an altitude? It's amazing to know how it feels to fly like a bird! As you take off from above Parang Endog Hill with the help of the strong wind of the beach, the paraglide will tremble while your heart beats much faster. 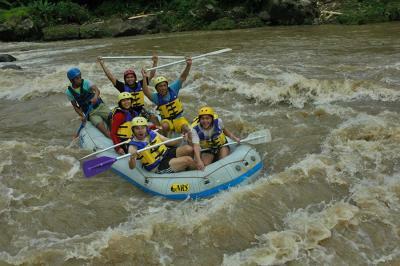 From up above, you will be served with the fantastic view of Parangtritis Beach. Interested in trying out the adrenaline rushing experience? Paragliding parangtritis starts from Parang Endog hills are the flying sport tandem which use a very lightweight equipments. You will fly tandem with the paragliding pilot and enjoy a breathtaking views while soaring up above the sky like a bird with winds speed ranging between 15-20 kph/9.3-12 mph. 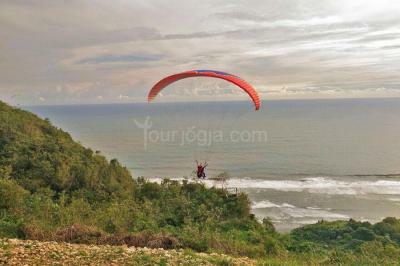 The landing area at Parangtritis beach is of abundance surface allowing for safe landing for paragliders. Just inform you in advance there is no insurance provided for the paragliding activity. You need to sign some document to do the activity. You will fly tandem with the paragliding pilot. * Just inform you in advance, there is no insurance provided for the paragliding activity. You need to sign some document to do the activity. You will fly tandem with the paragliding pilot.